There has been extensive flood damage on the route between Mid Taipo hut and Dillons hut. Large sections of track are missing, and walking on the edge of the Taipo River is now necessary. 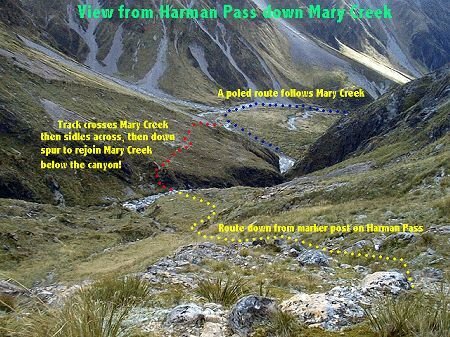 Hura Creek is now difficult to cross with very loose, steep embankments. 2015 - There is a large slip on track upstream of Scotty's Cableway. 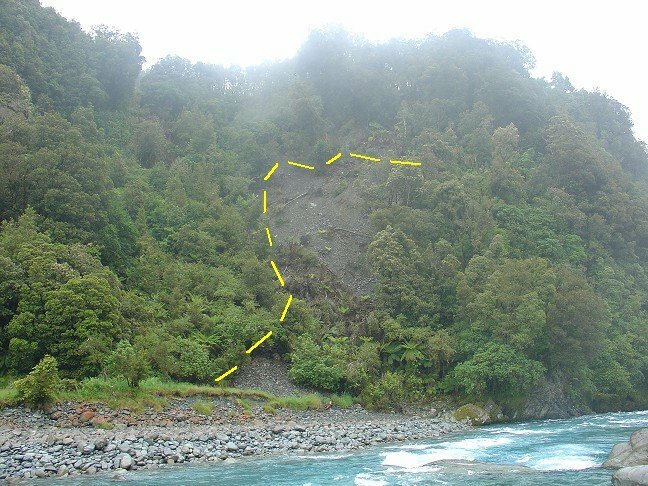 The slip has wiped out the steep section of track over the bluff to Scotty's Cableway on the true left of the Taipo River. This extremely steep section is suitable for highly experience users only. Photo by Richard Strong with thanks! If the White River is low enough ford it near the Clough Cableway. 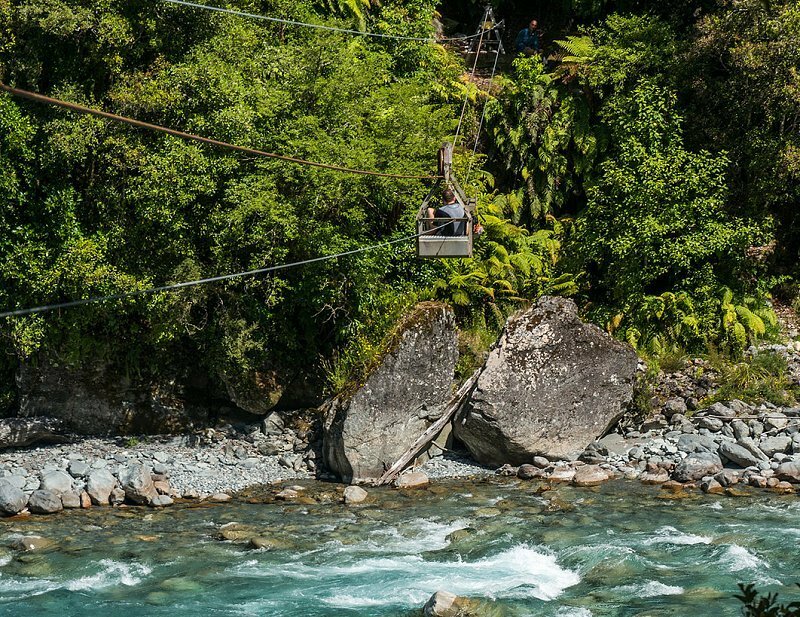 If the White River is too high it is very likely you will have problems in the Taipoiti & Mary Creeks, so using the cableway may not gain you very much. 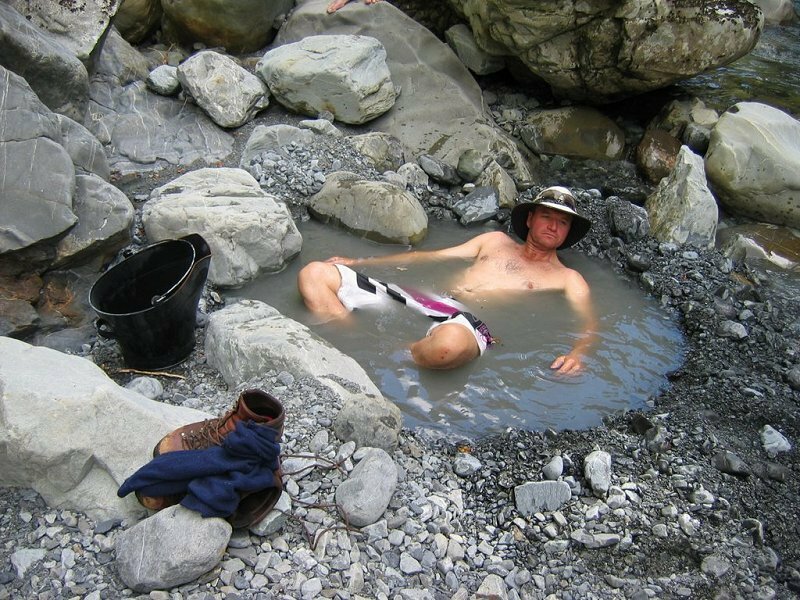 During December there is still snow on steep head of the Taipoiti This trip requires excellent river reading skills, as there are several difficult rivers to cross. 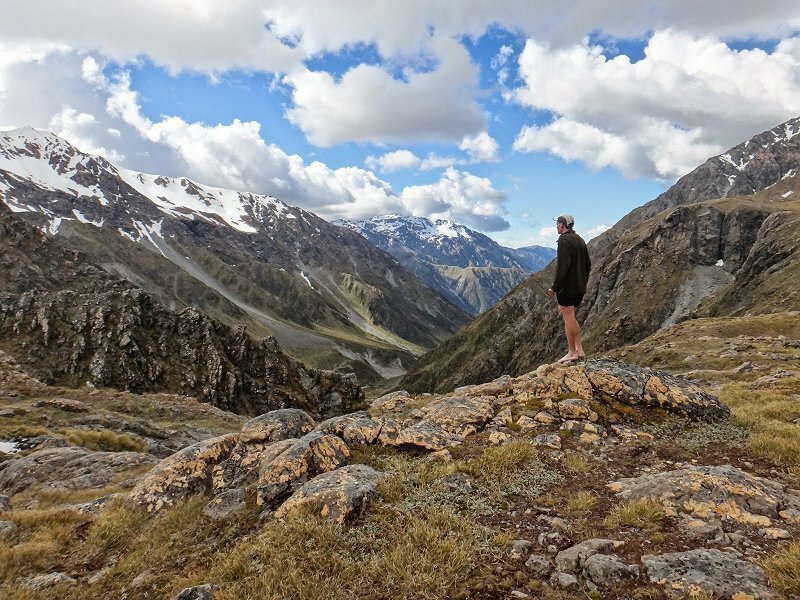 You must have previous experience tramping above the bush-line without a track (route). You should be aware of the signs and symptons of hypothermia, and be fit. 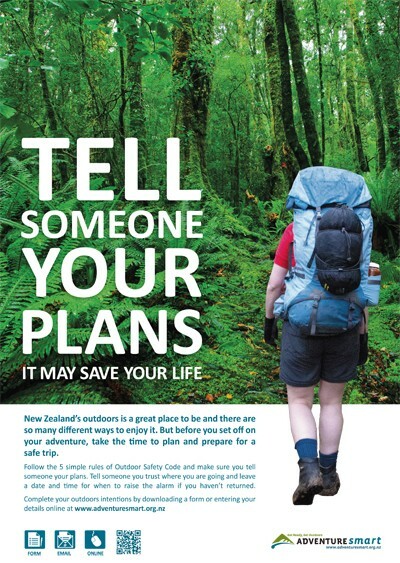 Don't listen to us..here are the words of a happy tramper..."It is a challenging, relentless series of river crossings, boulder hopping, scree-field scrambles, steep rooted rocky 'trails' and a few bluffs that require basic rock climbing skills"
Start at Klondyke Corner, 12km south of Arthur's Pass.